My design work in St Louis started hand in hand with the music scene, but I didn’t confine myself to dance clubs. 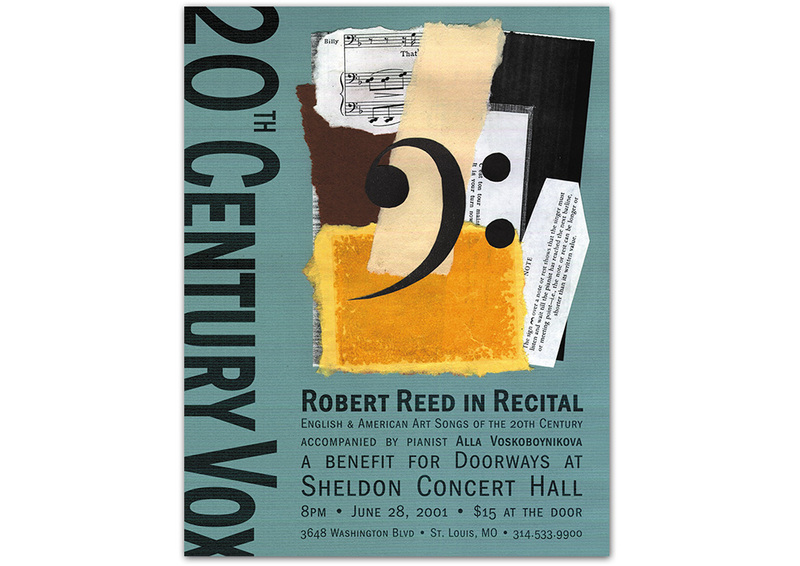 This flier for Robert Reed’s first recital of English and American art songs was an opportunity to learn a bit about music that I was unfamiliar with. My goal for the flier was to use imagery and fonts that coincided with the time period of the music.